The New Ford Ranger has been engineered for durability and strength with one main objective in mind - quality that’s built to last. Built tough with the ability to carry up to 1,269 Kg*, tow up to 3,500 kg** and wade through water up to 800 mm deep. This is a dependable vehicle you can rely on in the harshest conditions and toughest jobs, but still giving you an exceptional driving experience. Ford SYNC 2 lets you control your music, phone, navigation system, and climate control by simple voice commands or the 8” colour touch screen. Cruise control technology that can adapt automatically to the speed you want to drive at and the system will maintain it. The built-in radar sensor detects a vehicle ahead; it will slow the car to maintain a pre-set distance. Once the road is clear, the system will accelerate back to your previous speed. Forward Alert, Radar in the front of the New Ranger detects slower vehicles traveling in the same direction and provides a visual and audible warning if they’re rapidly approaching. The New Ranger will pre-charge and increase brake assist sensitivity, so even if the brakes are pressed lightly, they’ll automatically apply a harder force to stop you quickly. A Lane Keeping System uses a forward-looking camera to detect if you are accidentally drifting out of lane. Lane Keeping Alert warns you by vibrating the steering wheel and displaying a visual warning and can provide steering torque assistance to help guide you safely back into the right lane. Auto Start-Stop, this technology can automatically switch off the engine whilst still supplying power to essential systems. When you are ready to move, depress the clutch and select first gear, and the system restarts. Auto stop start is designed to cut fuel consumption in towns and cities. Roll-over Mitigation monitors the vehicle and identifies dangerous driving conditions that could lead to it rolling over. The system then triggers Electronic Stability Control to intervene, control the speed and restore stability. Hill Descent Control is designed to regulate your downhill speed in off-road conditions without having to touch the brake or the accelerator pedals it will operates in both forward and reverse gears.  Trailer Sway Assist detects ‘snaking’ or trailer sway and reducesyour dpeed speed to help correct the problem. The system slows the vehicle down by reducing the engine’s torque and gradually increasing the brake pressure on the wheels. For more power the 3.2L TDCi Duratorq diesel option, with 200PS and 470 Nm of torque at your command. Impressive fuel economy and low emissions are delivered from 43.5 mpg (6.5l/100 km) and 171 g/km CO2 emissions (160PS 4x4 with 6-speed manual and 3.15 FDR). In addition to XL:16" alloy wheels, Chrome finish door mirror caps and door handles, Radio/CD with 4.2" TFT screen, USB connection for external music devices and Ford SYNC with Voice Control and Applink ,Steering wheel-mounted audio controls, Plastic moulded side steps with bright-finish metallic inserts , Cruise control.